The Force Awakens in T-1 Day! The Force is waking up and almost here! Finally, there is only 1 day left until Star Wars: The Force Awakens. 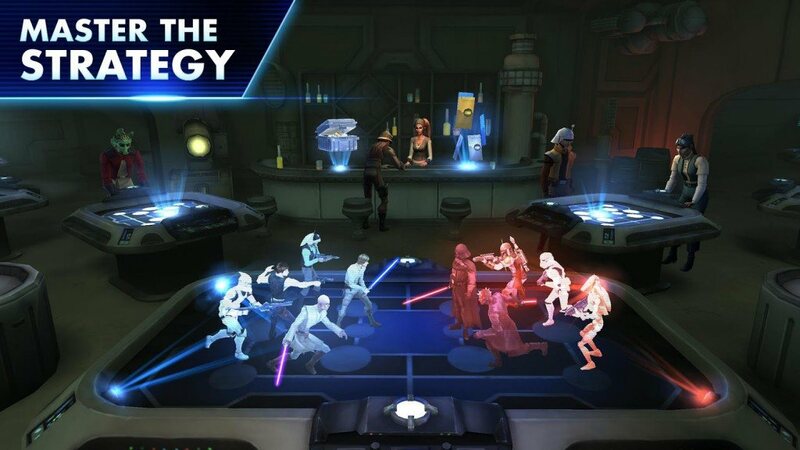 The last day of our countdown features Star Wars: Galaxy of Heroes. Collect your favorite Star Wars characters, like Luke Skywalker, Han Solo, Darth Vader, and more, from every era – then conquer your opponents in epic, RPG-style combat. 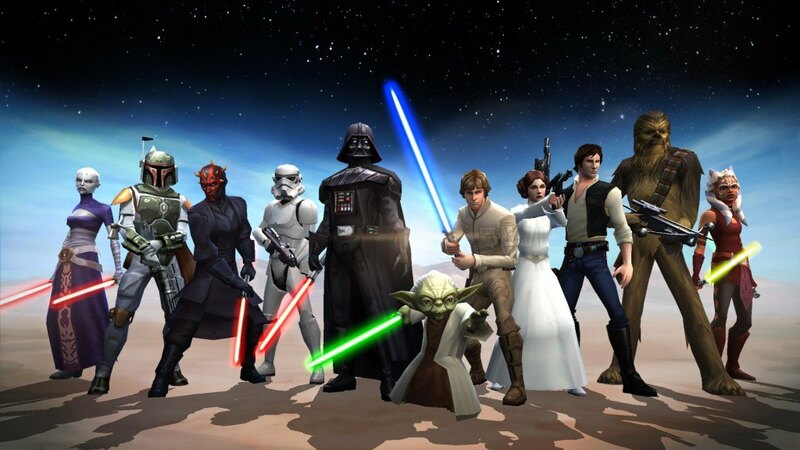 You can collect players from all the Star Wars episodes along with your favorite characters from TV shows series such as Star Wars: The Clone Wars and Star Wars Rebel. With so many characters with all different and powerful attacks/abilities, it’ll be hard to choose. Pick your favorites, build mighty teams, and craft the best strategy to win battles across iconic locations to become the most legendary hologamer in the galaxy! The game also has great graphics and the background music is clear and entrancing which makes this game so addicting and hard to put down! If you like good music while you’re playing this game though, how about giving Biggie’s tracks a chance? On the last day of the countdown, there is only 1 spot for 1 Star Wars feature, and I definitely saved the best for last. So here is 1 Star Wars tracklist you don’t want to miss. The EP is renamed as Life After Death Star which mirrors Notorious BIG’s album Life After Death. Otaku Gang (you can read about them here) put together an amazing mashup of Notorious BIG’s Life After Death album with the familiar sounds of Star Wars. Give this mashup a listen! Maybe on the way to the movie, or at home as you play Star Wars: Galaxy of Heros or Star Wars Angry Birds, heck! You can even play it in the long line you are about to stand in. You gotta love Biggie and we know you love Star Wars. Two classics in one. Who could ask for more? -If you haven’t already, follow @bluestacksinc on twitter and like the Bluestacks Facebook page. -Caption the post with #changethegame in EACH post and tweet to @bluestacksinc before or by December 18, 2015 at 11:59pm. -Remember there is 1 entry opportunity a day, with a possible of 5 entries per person. -2 winners will be selected by December 28, 2015. Stay tuned! -Follow ALL the rules in order to be considered! We don’t want to disqualify you, so don’t miss a step! The day we have all been waiting for! Whether you will be at home playing a Star Wars game on Bluestacks 3.o, in line to watch the movie, or you will be battling your friends in an epic Light Saber battle, may the force be with you!